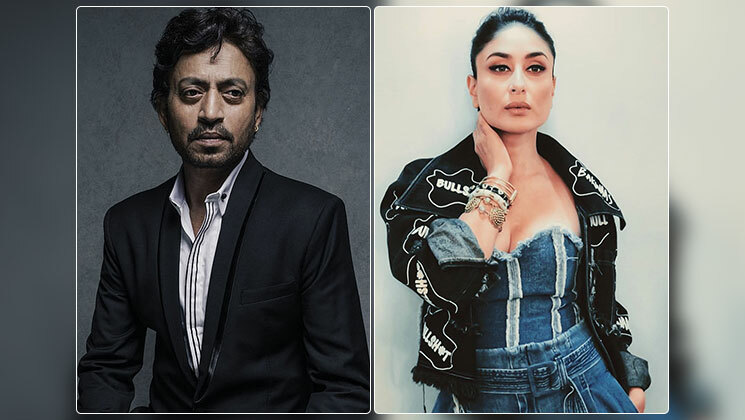 Home Bollywood Gossip Kareena Kapoor Khan to star in Irrfan Khan’s ‘Hindi Medium 2’? Fans of Irrfan Khan have been desperately waiting to see him on the silver screen since he went to London for his treatment of a neuroendocrine tumour last year. There is a piece of good news for his fans. Irrfan will soon return to India and start shooting for Homi Adajania’s ‘Hindi Medium 2’. According to Pinkvila sources, Kareena Kapoor Khan has been approached for the leading actress. The first part of the film featured Irrfan Khan and Pakistani actress Saba Qamar. According to reports, makers of the film are awaiting Bebo’s consent to play the role of the leading Heroine opposite the ‘Life of Pi’ actor. If Kareena Kapoor agrees to be part of ‘Hindi Medium 2’, it will be her first ever collaboration with stellar actor Irrfan Khan. Producer Dinesh Vijan has confirmed that the movie is being directed by Homi Adajania. The story of ‘Hindi Medium’ revolves around the struggle of a pre-school admission of a kid across the country. In the film, Irrfan played the role of Raj, a businessman who resides in Delhi along with his wife. They have a 5-year old daughter and want her to be enrolled in a top school in the city. The film was directed by Saket Chaudhary and written by Zeenat Lakhani. It had left a lasting impact on the audiences as it went on to become one of the biggest hits of the year. On the professional front, Kareena Kapoor has several projects lined up for 2019. She has recently been roped in for ‘Dabanng 3’, and has already started shooting for ‘Good News’ alongside Akshay Kumar, Diljit Dosanjh and Kiara Advani. Apart from these, Kareena will feature in Karan Johar’s multi-starrer ‘Takht’ which stars Ranveer Singh, Janhvi Kapoor, Vicky Kaushal, Anil Kapoor, Alia Bhatt and Bhumi Pednekar in key roles.